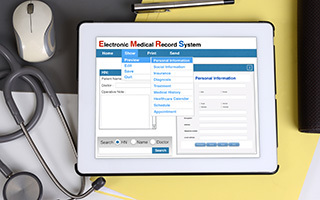 Investing in an electronic medical records (EMR) system involves significant time and effort in the initial build and implementation. With technology continuously evolving, required software upgrades are also time consuming, creating further staffing dilemmas. For a major medical center in Hawaii, the task was even more daunting considering the remote location and budget constraints for securing contingency staffing during a busy time of year. The software upgrade would require the reassignment of many staff nurses away from bedside care to participate simultaneously in training sessions over a five month period. With 505 acute-care beds and 28 sub-acute beds, the facility required highly specialized nurses who could hit the ground running for an extended length assignment to replace this disruptive vacancy. The facility turned to Fastaff, the pioneer and industry leader in Rapid Response® travel nurse staffing. Fastaff immediately sent an on-site representative to collaborate with hospital administrators, jointly designing a workforce strategy to guarantee quality nursing coverage throughout the facility. Upon initial discussion, Fastaff successfully recruited a large portion of nurses within days. Throughout the full five month timeline, Fastaff was managing 90 nurses working simultaneously in all units. Hard-to-recruit specialties, such as OR and adolescent psychiatry, were successfully secured and experienced nurses arrived ready to hit the ground running. Fastaff managed all logistical details, including travel, housing and credentialing; along with securing temporary housing in Hawaii during the busy holiday season and the Pro Bowl weekend. With considerations to the client’s budget, Fastaff strategically scheduled arrival dates and flights to keep the project within the set allocation. Fastaff’s 48-hour workweek model contributed to optimal scheduling, enabling the facility to schedule nurses for extended shifts, while saving money in overtime expenses. Flexible-length assignments also permitted full nurse utilization when needed throughout the five months, based on patient census, saving the hospital money in excess travel and housing costs. By guaranteeing delivery of experienced nurses to keep their facility operating at full speed for more than five months, Fastaff established a trusted partnership with hospital administrators. Once the EMR software upgrade was completed, Fastaff continued to fill additional staffing requests for short-term assignments. Providing quality continuity of care during major EMR projects – implementation through upgrades – can be achieved by partnering with Fastaff to guarantee delivery of nurses in hard-to-fill specialties for flexible-length assignments.